325 North 38th Street Belleville, IL. | MLS# 18093460 | Chuck Baer Realty, Inc - Homes for sale and rent in Cahokia, Dupo, E. St. Louis, Belleville, Waterloo, Columbia, OFallon and surrounding areas. CBR Property Management is a division of Chuck Baer Realty, Inc. offering property management and rentals. 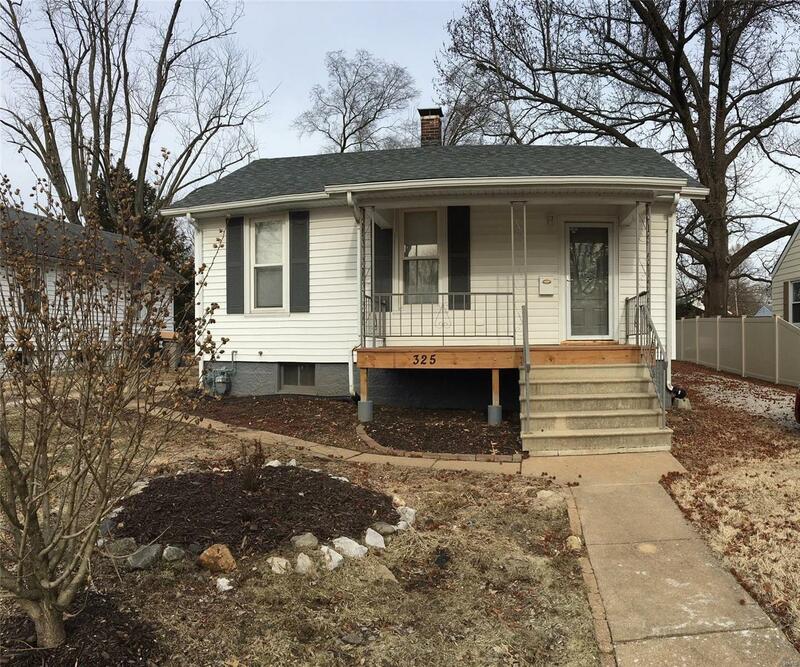 Cozy 2 Bedroom 1 Bath Home, newly rehabbed and looking great! All new electric, plumbing, brand new 95% furnace, new electric stove, dishwasher, disposal, bathroom, new light fixtures, new 6 panel interior doors, newer windows and newer kitchen cabinets, new roof on house and garage and new siding on garage. Property offers a Spacious Living Room, Large Eat-In Kitchen with lots of counter space and has a full basement for storage. Flooring is Vinyl Waterproof Plank throughout. You will enjoy relaxing on the Covered Front Porch. The 1 car detached garage measures 11' X 22'. This would be an Ideal Starter Home or would also be Ideal for Downsizing. Call for your appointment today to see and make this your New Home!!!!! Buyer to verify all Listing Data including but not limited to sq. ft., measurements, features, lot size, taxes/exemptions, schools and etc.